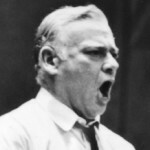 One of the greatest of American operatic baritones, Robert Weede (b. Baltimore, MD, February 22, 1903; d. Walnut Creek, CA, July 9, 1972) was eclipsed to some degree by rivals Leonard Warren and Robert Merrill, whose careers coincided with his own. During the 1940s and ’50s, however, he was prized for his vocal power and elegance, especially in his signature role as Rigoletto, at the Metropolitan Opera, the New York City Opera, the San Francisco Opera, and the Chicago City Opera Company, singing with the likes of Risë Stevens, Licia Albanese, Jan Peerce, Jussi Björling, and Maria Callas. Broadway fans remember him best as Tony Esposito in The Most Happy Fella in 1957. Born Robert Wiedefeld, he studied at the Eastman School of Music and in Milan, Italy. He made his Metropolitan Opera debut as Tonio in Pagliacci in 1937. Other roles in the big house were Rigoletto, Amonasro in Aïda, Manfredo in L’amore dei tre re, Shaklovity in Khovanshchina and Scarpia in Tosca. At the New York City Opera in 1949 Weede led the world premiere of William Grant Still’s Troubled Island with Marie Powers, Marguerite Piazza and Robert McFerrin (Senior). He sang with Maria Callas in Mexico City in 1950 (Aïda, Tosca) and at the new Chicago Lyric in 1954 (Il trovatore, Madama Butterfly). From 1956, Weede’s career centered on Broadway. His first appearance, in Frank Loesser’s The Most Happy Fella, brought him a Tony® nomination, one of six for the show as a whole. He next starred in Jerry Herman’s Milk and Honey (1961–63), which enjoyed similar success. 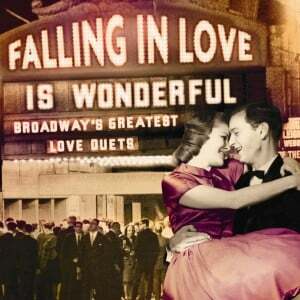 Both these shows resulted in original cast recordings. Weede’s third Broadway effort, Cry for Us All (1970), lasted for only nine performances but got him another Tony® nomination after all. Weede appeared twice on television, both times in Christmas specials. He was Santa Claus in Babes in Toyland in 1950 and played Marley’s Ghost in “The Stingiest Man in Town” on The Alcoa Hour in 1956. Weede’s glorious baritone can be heard on recordings of popular excerpts from Bizet’s Carmen, Gounod’s Faust, Leoncavallo’s I Pagliacci, and Verdi’s Rigoletto, Il trovatore, Un ballo in maschera, La Traviata, La forza del destino, Don Carlos, Otello, and Falstaff – not to mention The Most Happy Fella and Milk and Honey. There is also a studio album of Grieg’s Song of Norway.